Last year after our annual gift exchange I felt like our home was missing something-- a Christmas tree. After a discussion with my husband, I braved the after Christmas sales and purchased a small artificial tree on clearance. We put up the tree this weekend and I realized that we didn't have any ornaments or lights. Zilch. Like zero. not even one from our local car dealership. I figure that we will collect more as our little family grows up and I didn't want to run out and buy a bunch things that I"d have to store. I also didn't want to spend a lot of money, and I definitely needed something that was unbreakable. 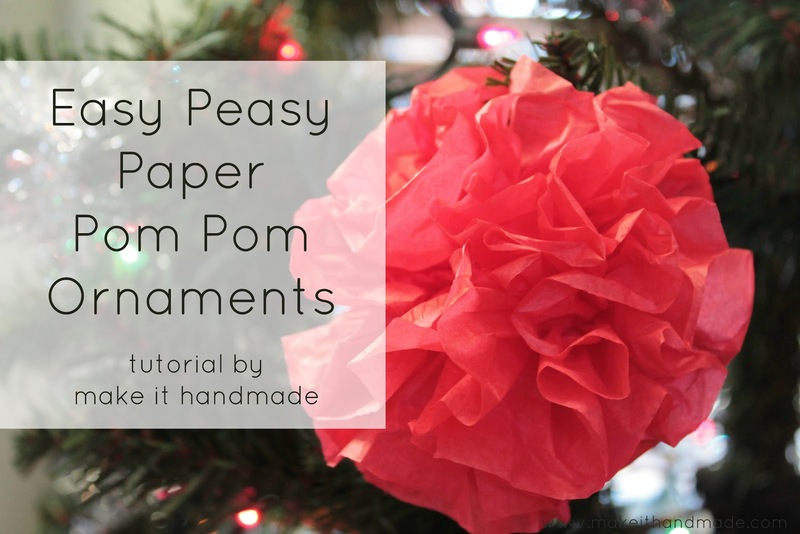 The first DIY I came up with are these mini tissue paper pom pom ornaments. These are easy to make, and dirt cheap. Even if you don't have tissue paper lying around, making these will set you back about 2 dollars. Before we go any further, I just want to put it out there that paper crafts are not my forte. In fact, I'm kind of awful at them. Be kind. These are really simple tiny tissue paper pom poms. I'm sure everyone has made these in the bigger size. Since you make four at once, it goes by pretty quickly. I made 16 for our tiny little tree. I think they would also be cute in different, non traditional colors. Want some of your own? Here's how. You'll need a package of tissue paper and either floral wire or pipe cleaners that match your tree. My sheets were 20x20, so I split them in half to make a 20x10 rectangle. Stack five half sheets of sheets of tissue paper and accordion fold. Cut into fourths. Each of these will become an ornament. And form it into a little loop. It's ok if this bit's messy, it won't be seen when you are finished. You can also shape the ends into a point or curve (as shown) after cinching for a different look. Carefully fan out the tissue paper. The paper pretty much hides the floral wire. We had these up for a few days before adding anything else on the tree. The pop of color went a long way to making the tree (and our home!) feel more festive and less lonely. I've been so excited about the tree, and I'll be doing a post with picture of the whole thing when I'm done. But here's a picture that show the little pom poms along with some of Aunt Peaches Tinsel Donuts. 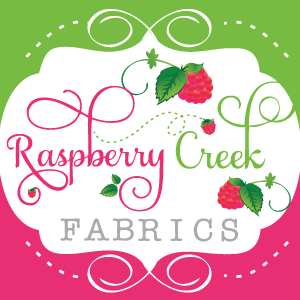 If you haven't checked out her blog, um... it's all kinds of awesome. The biggest benefit is that these little guys are unbreakable. No joke-- this is what I found literally 15 minutes after putting lights on the tree. The little paper ornaments were unharmed-- and putting the tree right took just a few minutes. I hope everyone is having a wonderful holiday season. See you back here on Friday!